Yes we already have a thread. Yes it's dead. Yes I can make a better thread. Spoiler buttons contain unspoilery screenshots, hidden for size. 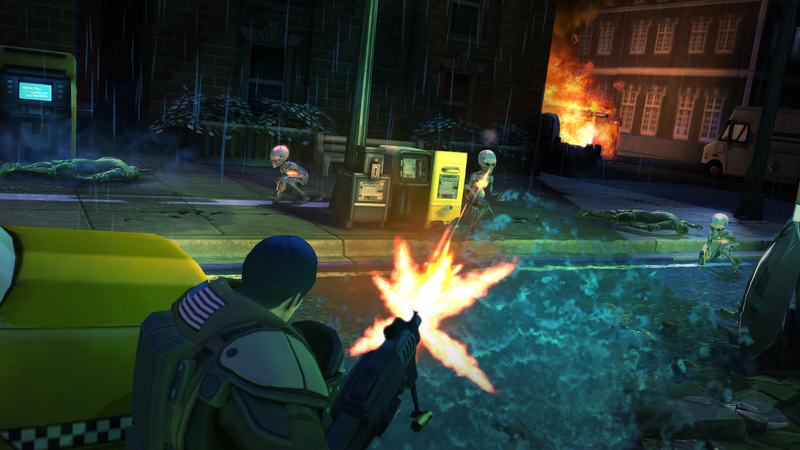 XCOM: Enemy Unknown is a remake of iconic classic turn based Earth defense, game X-COM: Enemy Unknown. Notice the difference? There's a hyphen (which I will omit to annoy hardened fans from here on out). 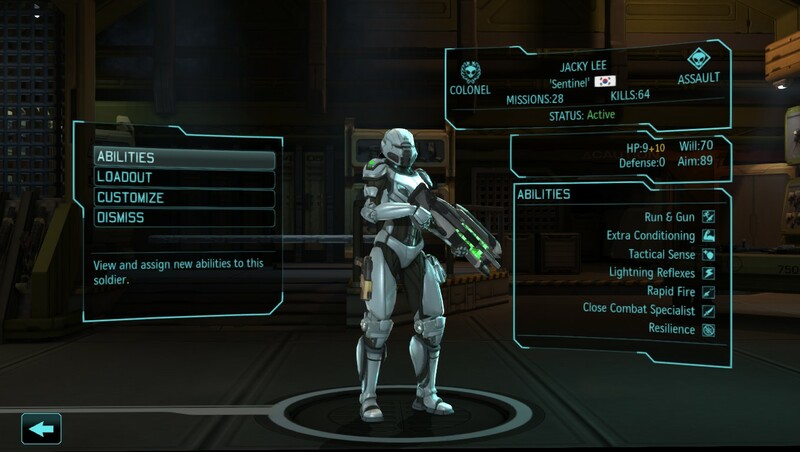 Anyways, XCOM: Enemy Unknown puts you in command of the XCOM project, a multinational (and yet, untied to any nation at the same time) covert operation to defend Earth and humanity from alien threat. Operating without borders, your soldiers, scientists, and engineers will work to counter impossible odds, out numbered, and out gunned, to save the planet. Your objectives will be many and if you aren't a pansy and play on a solid difficulty, your victories will be few. Do not expect the council of nations to understand and sympathize with you. They pay you for results, not "We tried"s. You must maintain council support or risk the XCOM project being dismantled, and witness the fall of humanity. This is a war unlike that which humanity has faced before. Our best and bravest soldiers can only take us so far without the support of a strong science team and engineers in force. Just be thankful it seems the aliens have underestimated us so far. Every piece of technology, every sheet of xeno alloy, even every single corpse we can drag back home with us allows us to understand our enemy a little more and adapt their technology for our own purposes. We cannot hope to defeat this foe without standing on even ground in terms of weaponry, armor, and good tactical sense. Don't forget though, that there is a human cost at stake. This isn't some video game. We are sending soldiers out there to fight against a foe with technology that borders on MAGIC to us. A lot of them will not be coming home. When facing insurmountable odds, there is nothing shameful in retreat. The council won't see it that way, unfortunately. 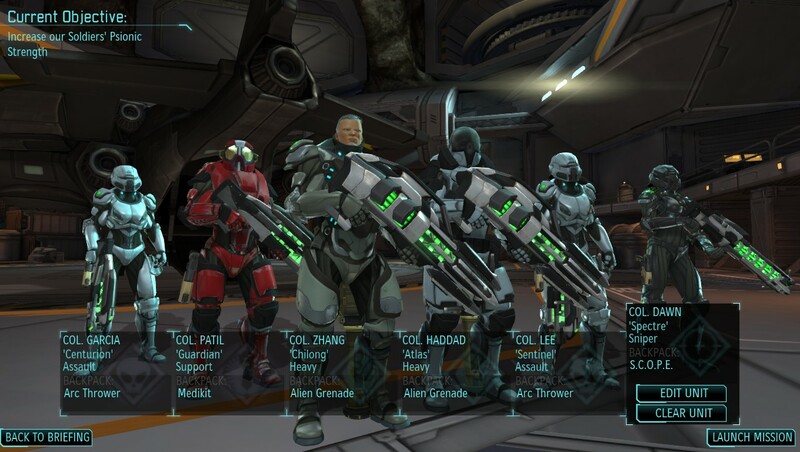 As Commander of the XCOM project your task will be to oversee direction and development for our science and engineering teams, maintain relations with our sponsor nations to ensure they don't cease funding and support, command our airforce for the war in the sky, see to the construction of our base facilities and satellite network, recruit new soldiers for our special force team, and last but certainly not least, direct those forces during ground operations to maximize enemy casualties while limiting our own. Be a man. Or a woman. Or whatever. The Earth is at stake. Game? You think this is a game that would be on sale for 75% off during the Steam Summer Sale? I'm not so sure you're cut out for this job. Saw this at a friend's house, was pcool. Installing it now. It still has game crippling bugs. A person next to a wall can shoot through it with a rocket [just look for a non-zero chance of hitting things on the otherside], but in the case of criken2, the game froze after that. That's not a game crippling bug. Aside from some camera issues, I've yet to run into anything awful, especially since the most recent patch. There are a couple of annoying bugs still present that I've found so far. Like the visible unrevealed enemy squad, where you can see their HP bars in the FoW and every turn they change to random places but the cinematic never plays until you actually reveal them in clear sight (I think its something to do with the battle scanner's visual range is more than their reveal range). Then there's the annoying damage assessment bug where if you get shot by an alien but the unit hit is not within camera sight then nothing is returned, no visual miss and no damage taken. Not to mention the soundtrack is pretty awesome too since it was composed by the same guy that made the music for Deus Ex. I just wish they added more micromanagement to the meta, being stuck with choosing 1 of 3 missions really restricts player skill with resource management and mental thinking of the results of "If I do this...". Also it's probably just opinion but the DLC really adds that badass feeling to your units. If I do a next playthrough I'm gonna try out Classic and do a 'One Man Army' kind of thing and try to do missions with a lone wolf Assault. I really like the Second Wave options. We can finally have rookies with randomized stats! Is it just me or is the game a little easy? At least, Classic isn't hard, as long as you have somewhat experienced soldiers. As long as you leave no chance for the RNG/Enemy to come into play, I guess so. You just have to be very careful and end every conflict in one turn so you minimize injuries. I don't load my game very often. 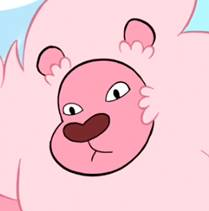 I kind of cheat and Leeroy Jenkins my guys around until I find out where all the baddies are. I can do fine without (playing on classic) but the game becomes really slow paced as I inch forward continually setting up overwatch traps and being careful not to proc more than one conflict at a time or do so when my guys aren't ready to blast away. Two snipers with squadsight, a heavy, an assault, and two support. Snipers will wreck pretty much everyone's ♥♥♥♥. Snipers are pretty much the master race. All I ever do is throw them up on high ground and them let 'em tear through on a streak. Shame that The Bureau didn't really live up to this. Back to Enemy Unknown I go.